Over a couple of weekends just before our holiday I dived into a mod project I’d been wanting to try for a while. Using a Raspberry Pi unit I built a radio/music machine to use in the kitchen for home, building it into a 1940s radio case that I found at a local secondhand store for $25. Using the Raspfi project that I read about a while ago — now streamlined and called Volumio — I put together a compact but high quality music system that I’m quite impressed with. It was a simple enough build, after I worked out how to gut the old radio. It didn’t work at all, so by opening up the back and unscrewing, cutting or otherwise removing most of the insides, I was able to clear enough space for the Raspberry Pi and speakers. The speakers I used were relatively cheap — Logitech z120 — not the cheapest but certainly not the most expensive. I bought them mostly because they were available (at the local supermarket) and because they fit in the case easily. They’re quite decent for their size and they give a good quality sound, again for their size and price. The Raspberry Pi build was the easiest part of the project. Simply download the Volumio image from the link above, write it to an 8GB SD card and then plug it into the Pi. It’s a well set up system that doesn’t even need a monitor output to run, and automatically sets itself up and then lets you configure it from a web interface. You don’t even need the IP address, just use volumio.local and you’ll find it on your network. The only complicated part was buying a wireless dongle on eBay (only $8) then configuring the Pi over Ethernet first, though even that turned out to be easy enough. Just buy a USB dongle that confirms it is Pi compatible. With that, I could close the case, position it where I wanted then run with it. The web interface works nicely, though I find it can be a bit slow to access at times, and I’m not sure whether that is the network or the device. Either way, it works very well. The save that as TripleJ.pls (making sure not to get .txt at the end) and copy that to your Volumio SD card in the WebRadio folder. It should then appear in your list. Note that I use the Internode stream to get free data as that’s my ISP, you may have another source you’d prefer. 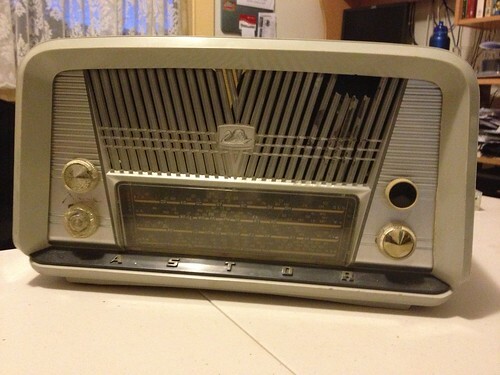 Hi – I’m struggling to find a Triple J stream that will work for my Pi radio (I used this programme to make it – http://www.bobrathbone.com/raspberrypi_radio.htm). I couldn’t see the file link mentioned in your article either. Can you give me any advice? I’ve added an addition above that may help you. I couldn’t upload the file directly because security, but as it’s really just a text file anyway (saved as .pls) you shouldn’t have any trouble creating it yourself. Hope that helps. Even better, type in “your ISP radio stream” my ISP supplied a .pls file for my preferred station..all free from data usage.